The VW I.D. will be the first model from the automaker's new EV lineup. Christian Senger, director of Volkwagen Group's electric model line, is predicting a fast model rollout with the launch of the VW I.D. in 2020. Audi, Skoda and Seat will also build models on the new modular electric platform, the MEB, at an early stage, Senger told Automobilwoche, a sister publication of Automotive News Europe. What phase of electric mobility are we in? We are in the market preparation phase. For VW, 2016 was the time to transform strategies into specific implementation plans. 2017 will be the year of major operational moves. We are now integrating and tying in our suppliers, and planning our plant expansion in detail. This will put a new generation of Volkswagen cars on the starting line in 2020. Some suppliers don't want to incur advanced tooling costs over such a short time. We are moving into shorter development times since electric vehicles are less complex. We have to shorten our time-to-market for electric mobility so we can be closer to the customer. We have to train our partners for this, and we have to train ourselves. And do it all very, very quickly. The MEB (modular electrification platform) is your baby. What does it consist of? The MEB puts the most valuable component at the center: the battery. That is why we are building cars on the MEB with long wheel bases and short overhangs because we want to create the maximum space for the battery between the wheels. The flat bottom battery has simple geometries and is capable of utilizing any cell format from any supplier. 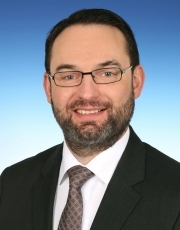 Senger was a developer on BMW Group's Project i, the luxury-car maker's think tank that spawned the "i" electric-car subbrand, then later went to parts supplier Continental where he worked on electronics systems. Who will supply the batteries? The creation of the overall battery system lies with Volkswagen. We are still considering who will be MEB suppliers. What characterizes cars with the MEB? The MEB is not a car without exhaust [emissions]. It is rather a tablet on wheels, a moving electrical device. We can do software updates such as those for high-priced vehicles. You will also see large interiors suddenly emerging. 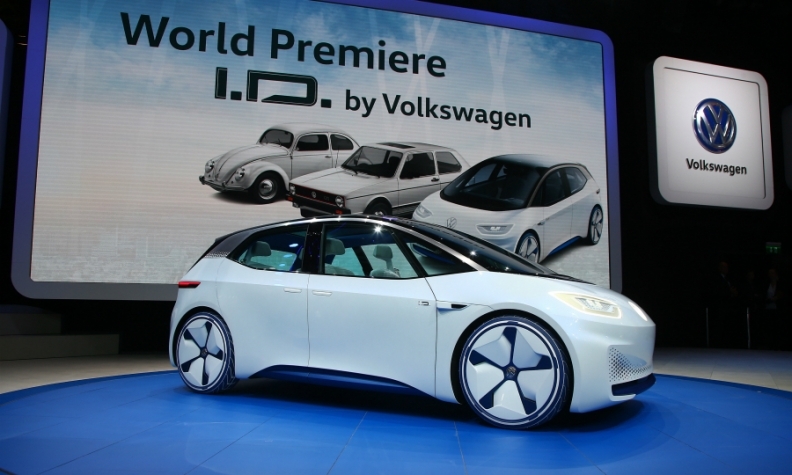 For example, VW I.D. is shorter than a Golf but has more interior space than a Passat. Are you turning to rear-wheel drive like Tesla did? It is simple physics. When you put the battery, the heaviest component, in the middle of the car, then the center of gravity is precisely in the middle. You do not get the 60 percent front-axle load. We're at 50-50 with rear-wheel drive. Which VW Group brands can use MEB? The MEB is clearly a VW Group platform. Audi, Skoda and Seat are sure to be involved at an early stage. VW has announced that it would like to quickly become the EV market leader. An e-Golf is insufficient for that. We are getting into a real market from 2020 on. That's when it will get exciting. If you begin investing early, you may be a pioneer but not a market success. We now have the e-Golf and the e-Up, and we have introduced the I.D., which is already very realistic. We will also bring out other vehicle variants. Basing SUVs and the sedan segment on the MEB is also conceivable. We will have a fast rollout of our variants with the I.D. as the kickoff. But the customer has to play along? Our recipe is actually simple: Eliminate all the obstacles. Why aren't customers buying an electric car? The answer: too little range, too high an entry price, insufficient charging infrastructure. We have to do away with all that. And when the customer is at the dealership and sees that an electric car has significantly more interior space and countless functions thanks to software updates, the vehicle can win over the customer. We expect that one Golf customer in five will choose an I.D. And we will also win customers from the competition. Does VW want to manufacture battery cells or purchase them in Asia at a low price instead? As a manufacturer we need highly detailed expertise on the complete battery value creation chain. In the future, batteries will be the components representing a vehicle’s largest purchasing volume. And being off by just 1 percent still represents a lot of money. Now we are asking ourselves: How far do we need to go into cells? This may only be possible with cooperative ventures. In eight years, Volkswagen will need batteries with more kilowatt hours than all the applications in the world used in 2015.